Lord Evelyn and a group of seven like-minded esthetes make up „The Ghosts" a cabal of social arbiters, of whom the mere mention is regarded as a faux pas. They are imbued with almost mystical power in setting tastes and trends and behavior for the members of Society in London in 1908. Desperate for stimulation „The Ghosts" embark on a risky program of wealth redistribution... other peoples wealth. Meanwhile, a spurned aspirant to their club, the American debutante Sophy Van Heldt, seeks revenge against them. 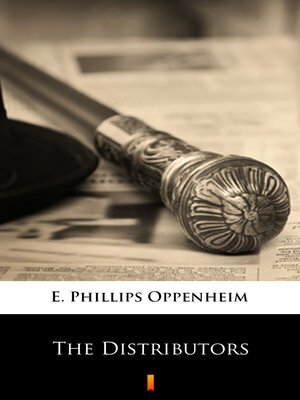 Originally published in 1908 as „The Ghosts of Society" this intriguing novel carries the theme of social boredom, ennui, and sensation craving which entranced late Victorian Europe in the pre-war period.